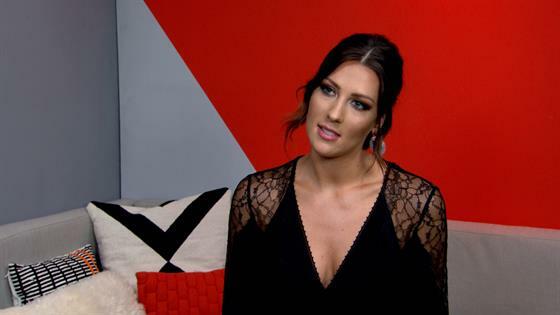 We're just one episode into Becca Kufrin's journey to find love on The Bachelorette and we're already dealing with controversy. Becca handed out her first impression rose (usually an indicator of a guy who will make it very far, if not to the end) to the fun-loving minivan-driving Garrett during the premiere on Monday, and it wasn't long before reports started coming out about Garrett's social media activity. Screenshots shared by former Bachelor contestant Ashley Spivey showed that his now deleted Instagram liked several offensive posts, including some that mock Parkland shooting survivor David Hogg and the trans community. The Bachelorette Season 14: Meet Becca's 28 Men! Now, in an interview with E! News, Becca has weighed in on the controversy. "I've heard a little bit about it these past couple days," she said of the reports about Garrett. "I've just been so busy traveling around the country with press that I haven't really been able to read too much up on it, but everyone is entitled to their own opinions, and at the end of the day I wanted to go on this journey to open up myself and have people see my love story unfold and I would hope that they would stay open and respect me but also stay open and respect these 28 guys that went along on the journey with me." No phones or computers are allowed during filming of the show, so Becca was (gasp!) forced to get to know these guys just based on what they chose to show her in the moment without knowing what they're like online. "It's different, but it's nice in a way, because I was truly getting to know these guys for them, and hav[ing] conversations face to face with them about things that were important to me," she tells us. "So I feel like I got a much better picture of who these 28 guys were, as opposed to just looking on their social media and trying to make a decision of who they were by not talking to them." She agrees that it's hard to keep up that attitude when viewers are only getting the social media personalities of these men, especially remembering how things went during Arie Luyendyk Jr's season of The Bachelor. "People form their own opinions, but at the end of the day, I know who I am and my friends and family know the type of person who i am, and I can only hope the guys feel that same way. It's going to be tough. I think social media is a huge presence in our lives these days. There's no getting around that fact. It's difficult for people to say certain things about any of these guys, and so I would really just hope that they watch the entire journey and get to know them for who they really are."